If you love stringed instruments that send hypnotic, yet haunting sounds through the air, the Chautauqua Auditorium in Boulder, CO is exactly where you should have been last Saturday. Andrew Bird, violinist, singer, and songwriter played our hearts out. Under the vintage, wooden beams of the Chautauqua Auditorium, which is celebrating its 120th anniversary this year, the eager crowd sat waiting for a harmonious treat. The night began with Neyla Pekarek of The Lumineers. The crowd laughed along with her fictional and amusing stories, and were amazed by her skilled cello skills and powerful voice. 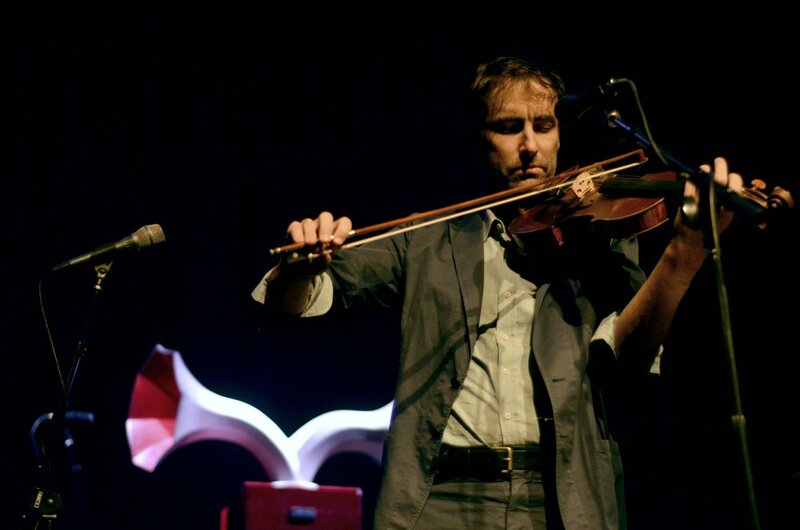 Andrew Bird and his band came to the stage following, accompanied by Bird’s famous loop pedal and his precious violin. He immediately began his performance with one of his more well-known songs, “Pulaski.” As he played, Bird built complex overlays of looping sounds using each instrument around him. It was fascinating with every new tune to see how Bird created certain sounds from his catalogue live. He’s very well known for his harmonic whistling, and at certain points even imitated the animal which comprises his last name. There were times we were lost in his heavier harmonics; during others it felt like we were awakening on a spring morning to real robins chirping. And some of us really couldn’t help but close our eyes when his violin notes his our eardrums. Bird has played numerous venues throughout the state- including Red Rocks- but hearing him in the barn and wood on the top of Chautauqua was an experience unlike any other. It’s not always you can identify a perfect artist and venue pairing, but this was one of them and all concertgoers left feeling it.